“Holy, Holy, Holy is the LORD of hosts, the whole earth is full of His glory” (Isaiah 6:3)! The whole earth is full of His glory! Yet tragically, most of the time, we don’t see it. with stooped shoulders, dead eyes, and grim faces. Yet right before their eyes, may lie a glorious sunrise or a lovely child. Overhead, graceful flocks of birds may head for unknown destinations, guided by instincts still little understood. Every moment, we are surrounded by thousands of signs of a glorious God. But more often than not, we miss them because we are consumed by our own worries, doubts and frantic schedules! All too often, WE may be those grim-faced people on the streets! The Gospel of John tells us, “The Word became flesh and dwelt among us, and we saw HIS GLORY, glory as of the only begotten of the Father, full of grace and truth” (1:14). His great glory is His grace. That grace and glory of God came to live among us through a young teenage girl giving birth to a Child in a manger. It ended on a cross. In Romans, Paul tells us that we, too, were crucified with Him. Three days later, we were also raised with Him, so that our life of mediocrity, sorrow and failure might become absorbed and transformed by His resurrection GLORY. He lives for all eternity, now and forever. So do we who trust in Him. In short, through His birth in a manger, death on a cross and resurrection from a tomb, He has already given us the gift of His glory to experience now and forever. As Paul tells us, even in spite of ourselves, we can “reckon ourselves dead to [the kingdom of] sin and alive to [the kingdom of] God in Christ Jesus” (Romans 6:11). 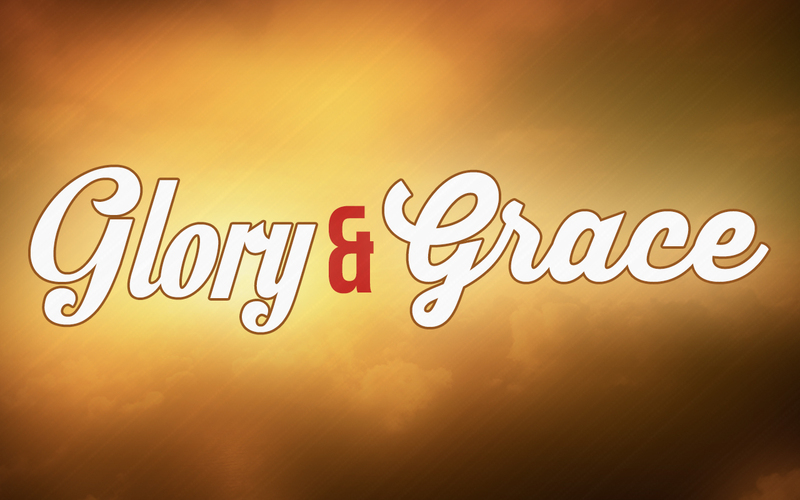 Yes, God’s glory is also His grace. So the battle is already over, and the victory is already won. The prison doors have flown open. The shades are up, and the glorious light of God already shines upon us. Already, God tells us, “Get up! You are free! Walk out into all that I planned for you before I created the universe! It is yours now!” This grace is true glory and freedom! The rest of the world still sees only prison cells around them, and they walk about with grim faces, awaiting their freedom. Let us better see the gracious glory of God for ourselves, that we may help them to see it–and to experience true freedom!